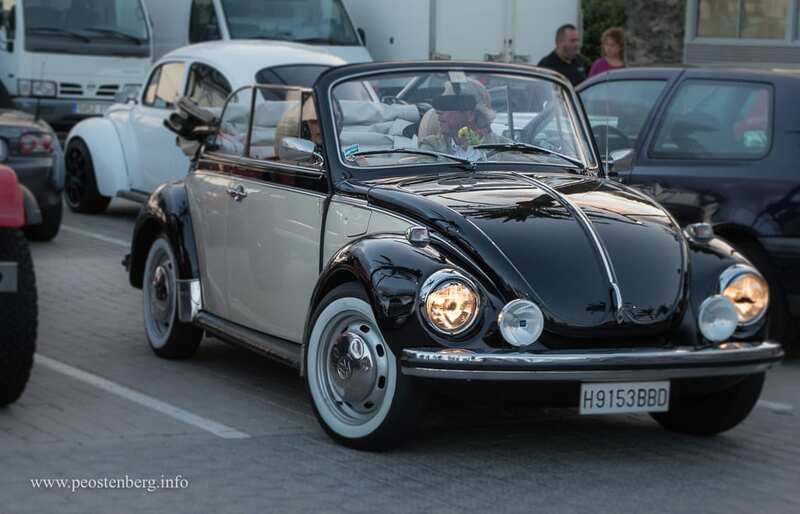 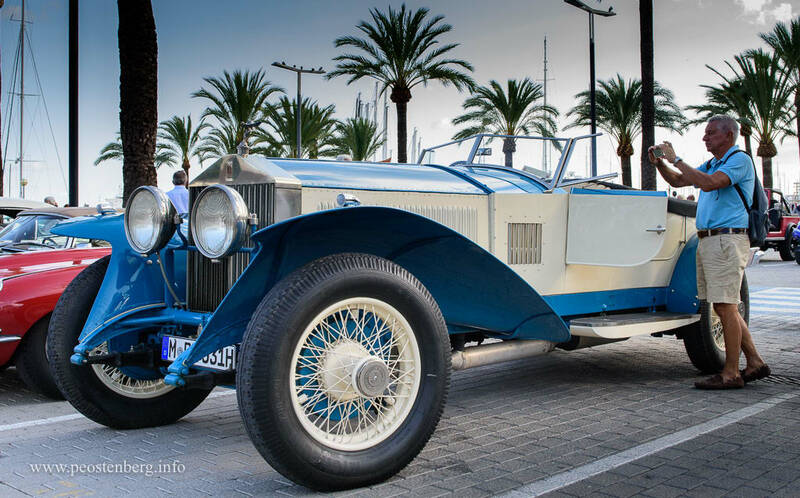 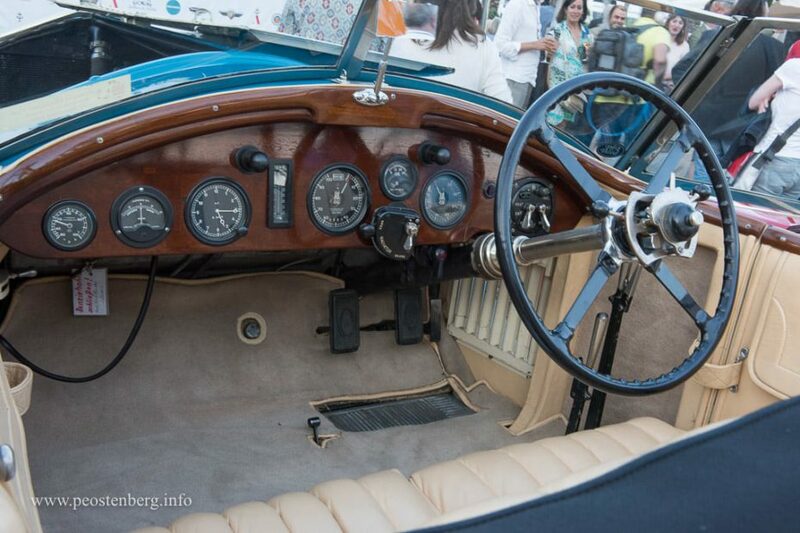 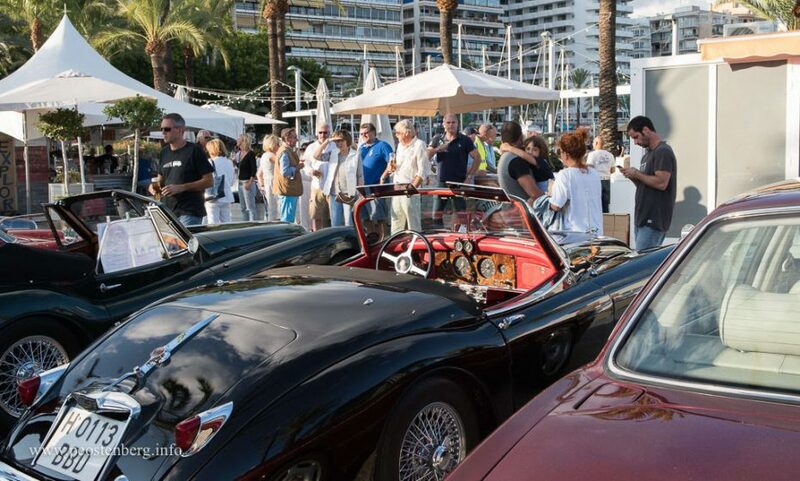 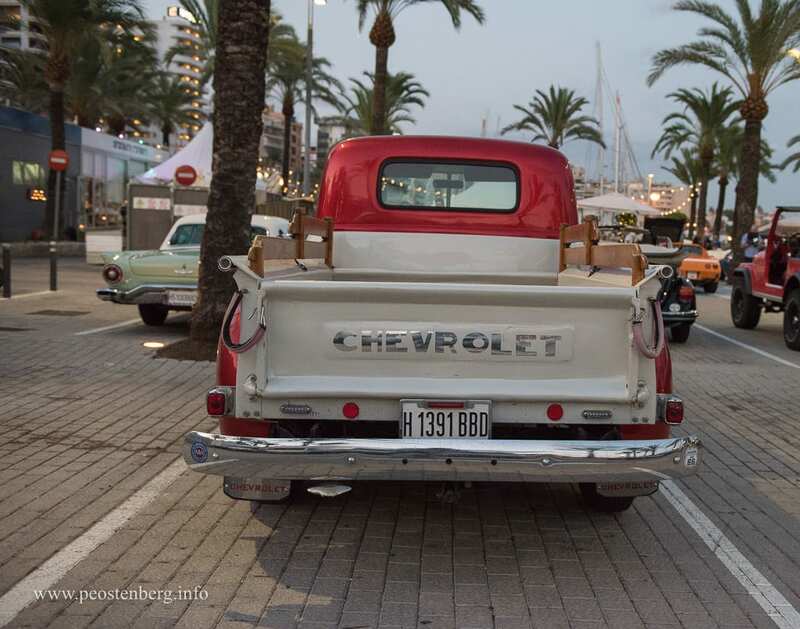 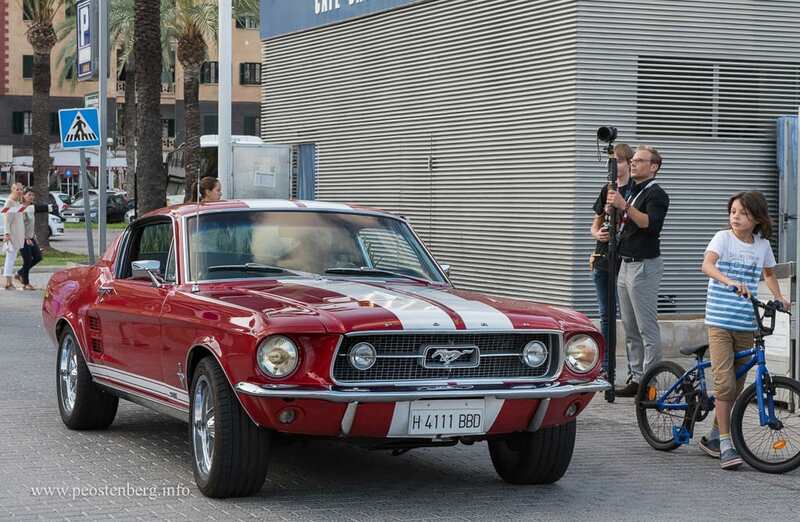 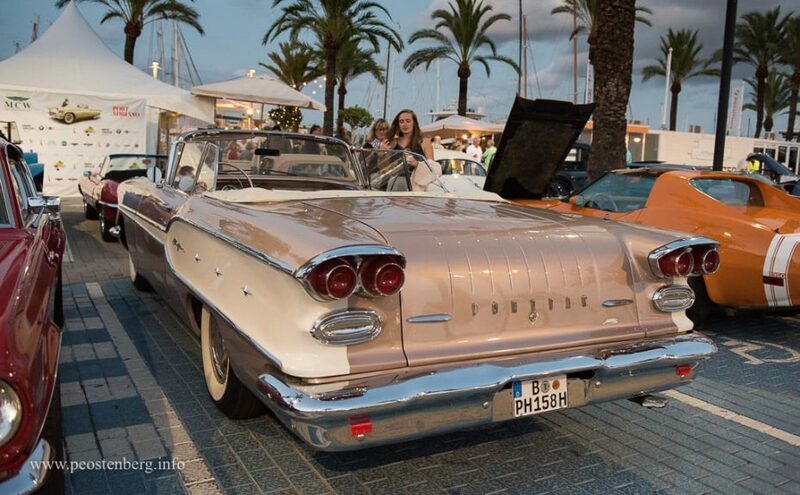 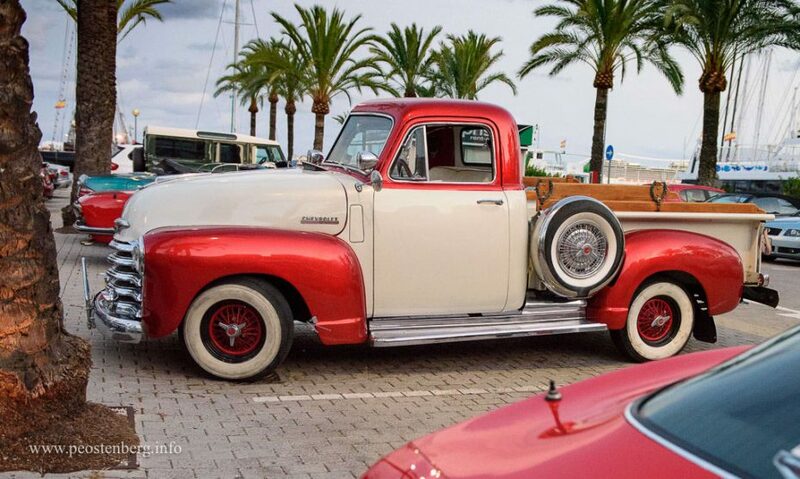 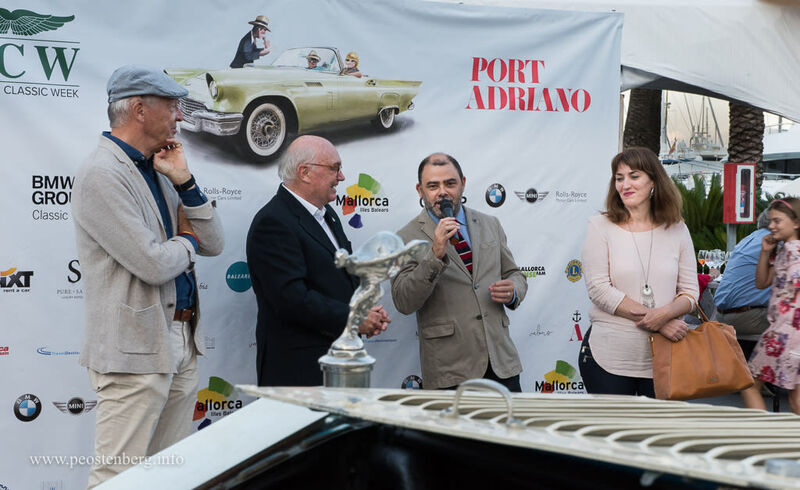 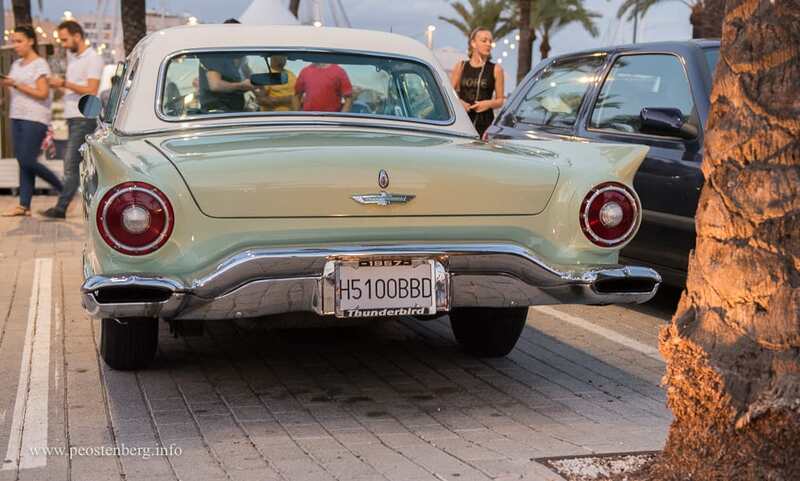 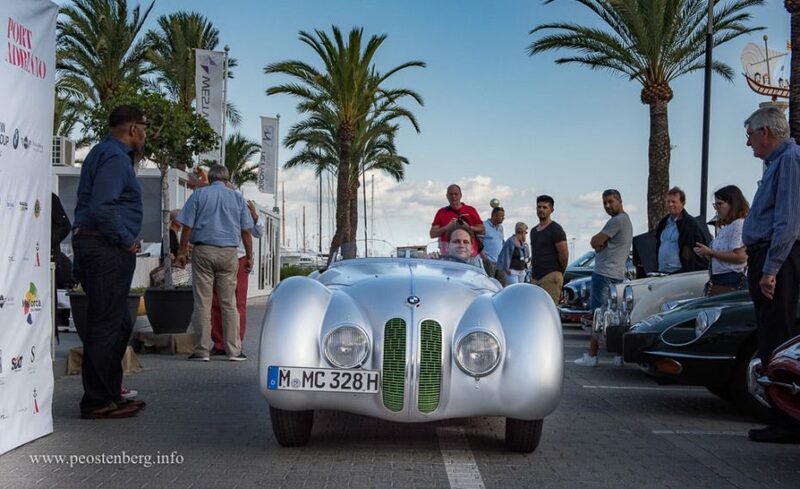 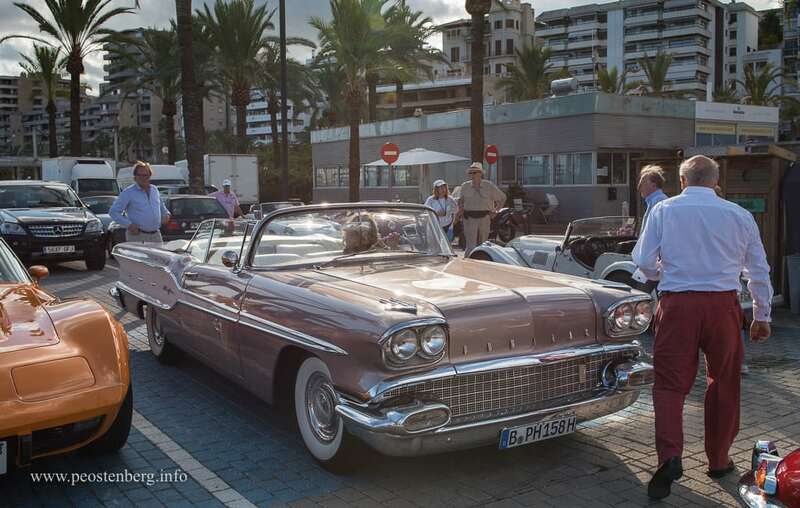 The 20 September Wednesday meeting at The Boat House was dedicated to the opening night of Mallorca Classic Week, a five day classic car extravaganza now in its second year. 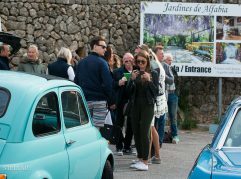 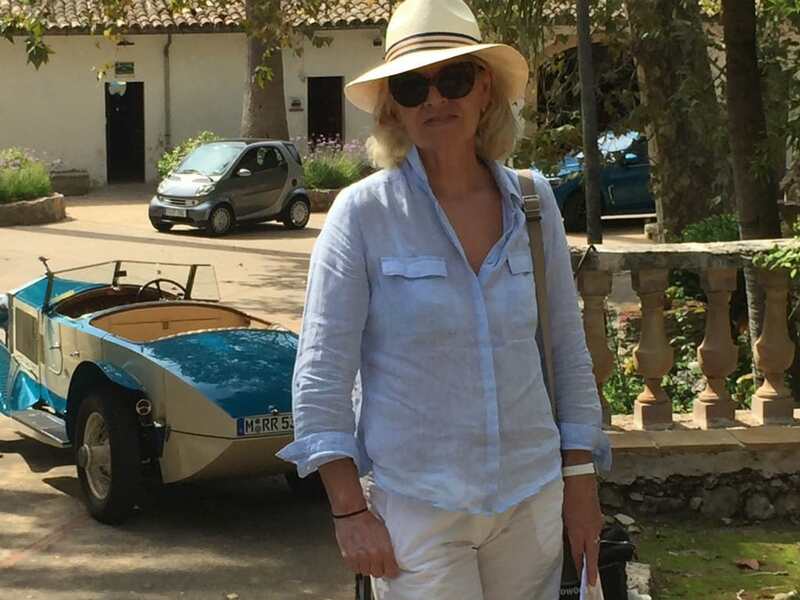 The entire car park was devoted to classics, with 60% of the cars from off the island having travelled from various parts of Europe to start this event in style and sample the delights of The Boat House BBQ. 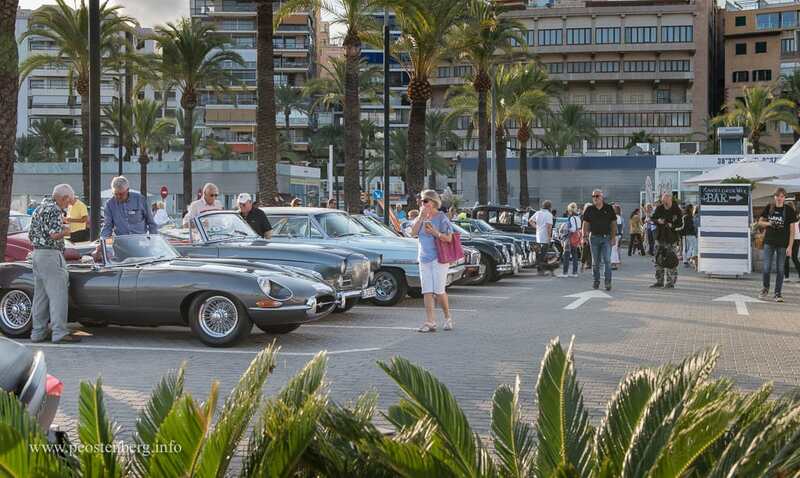 For the locals, the range of cars was quite different from our usual Wednesday selection. 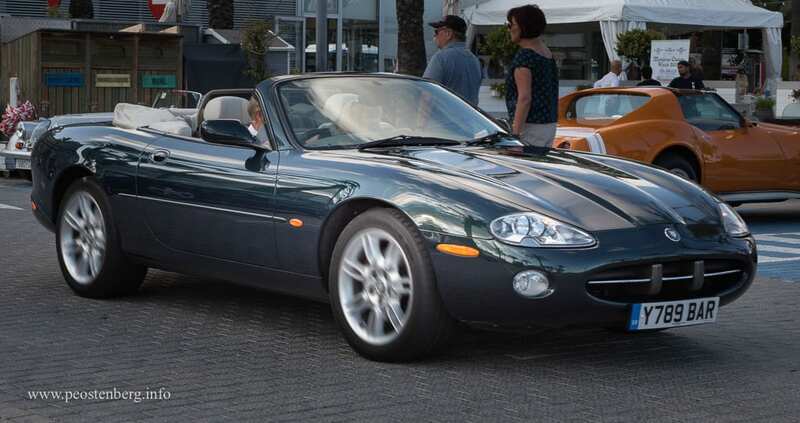 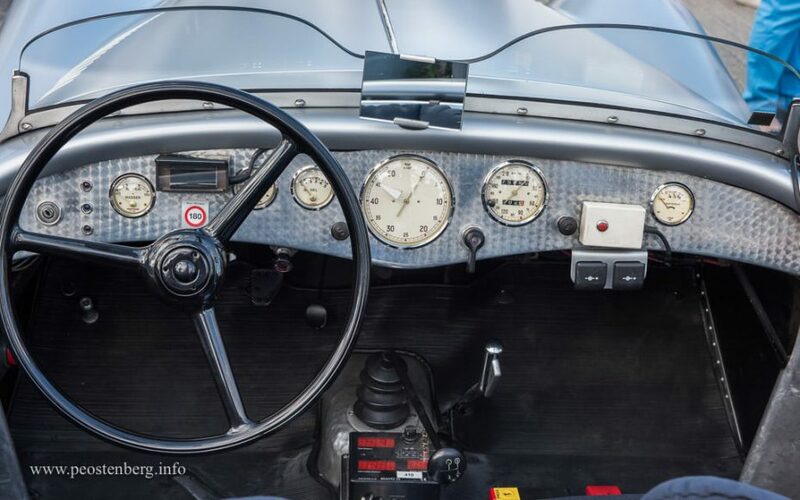 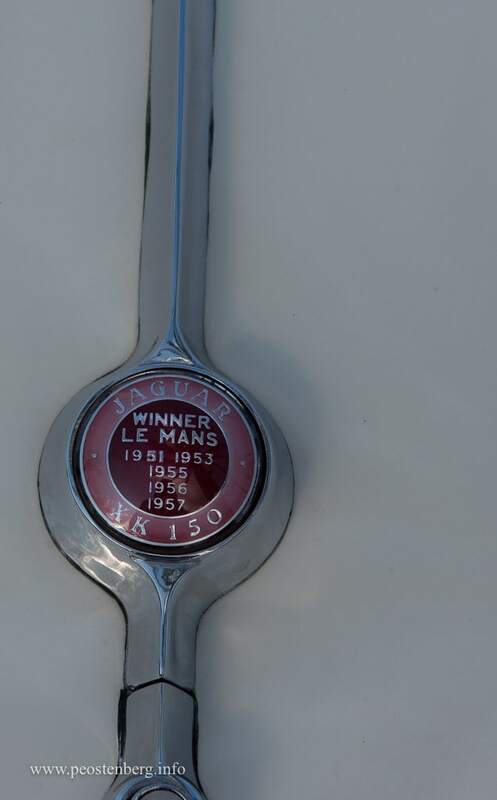 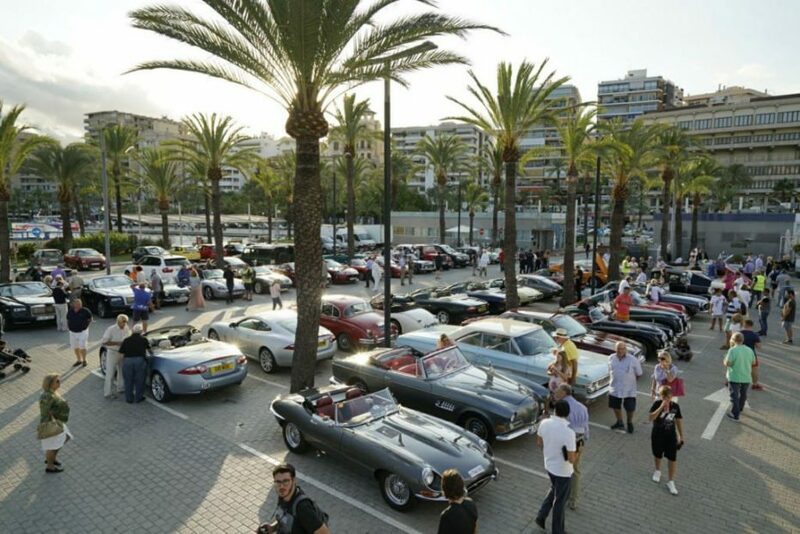 Starting with 18 Jaguars, visiting from the UK via a European tour, ranging from an XK140 through half a dozen E-Types, to a couple of contemporary XKs. 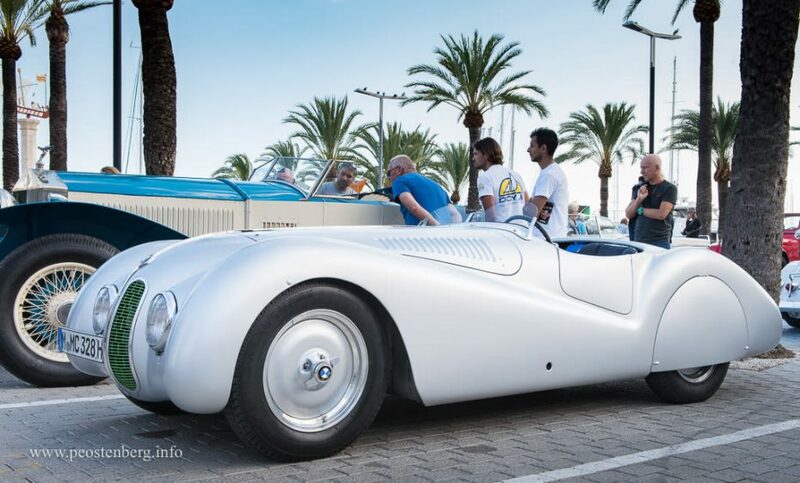 Keeping them company was a lovely 1940 BMW 328 Roadster which looked diminutive next to the 1958 Pontiac Chieftan convertible, all the way from Berlin. 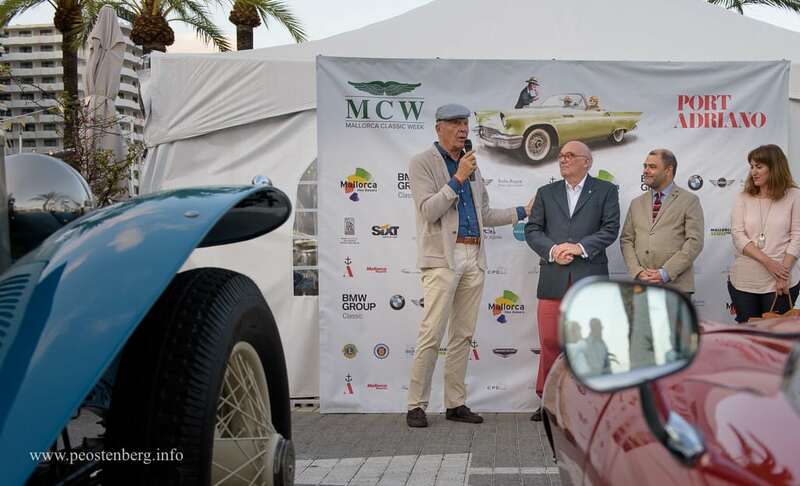 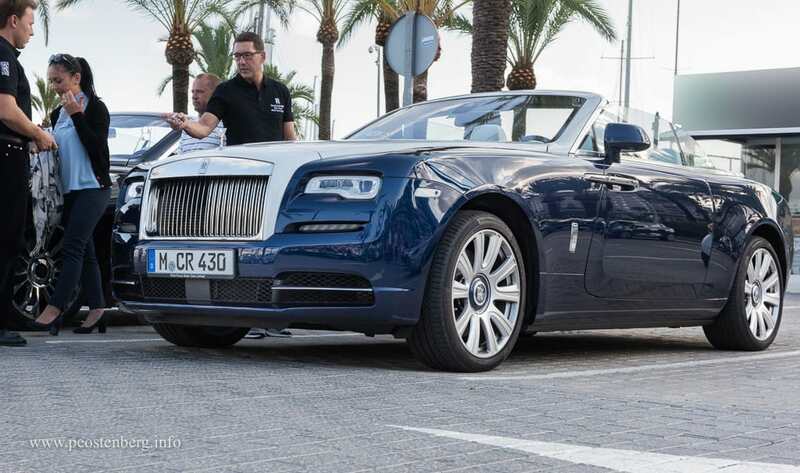 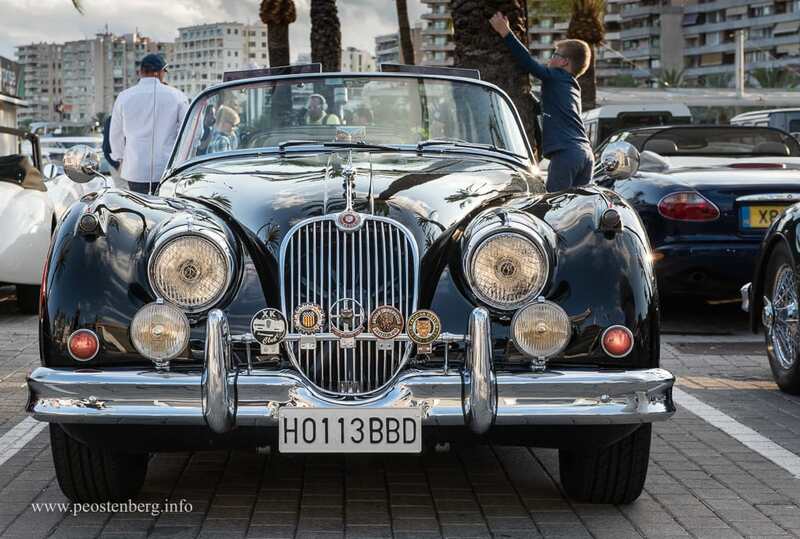 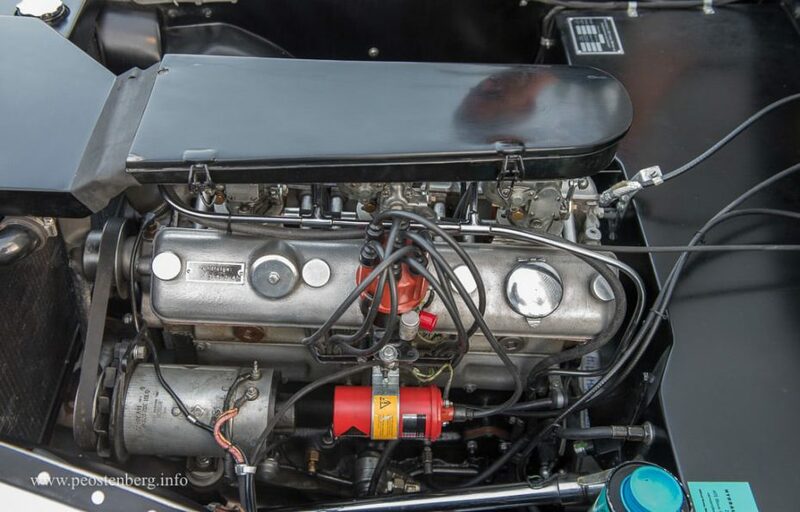 Saturday saw the focal point of MCW by Port Adriano which culminates in a Concourse D’Elegance where the 35 cars entered are considered dirty if they display even a spec of dust! 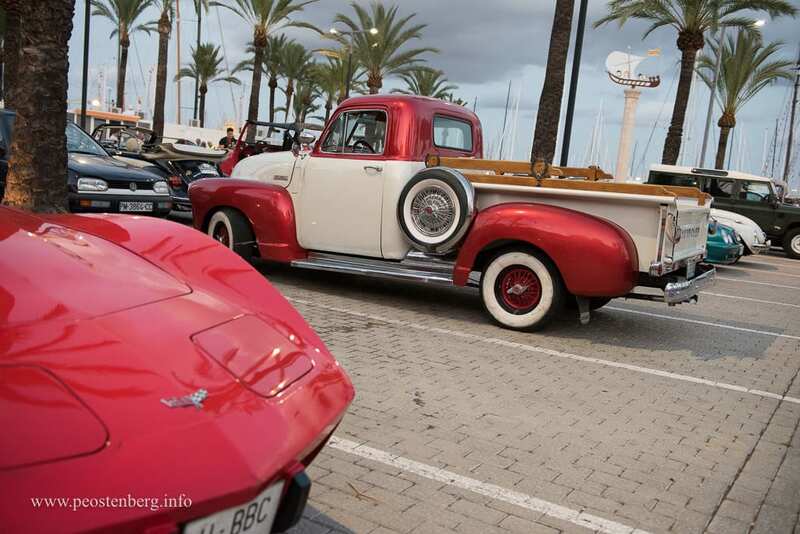 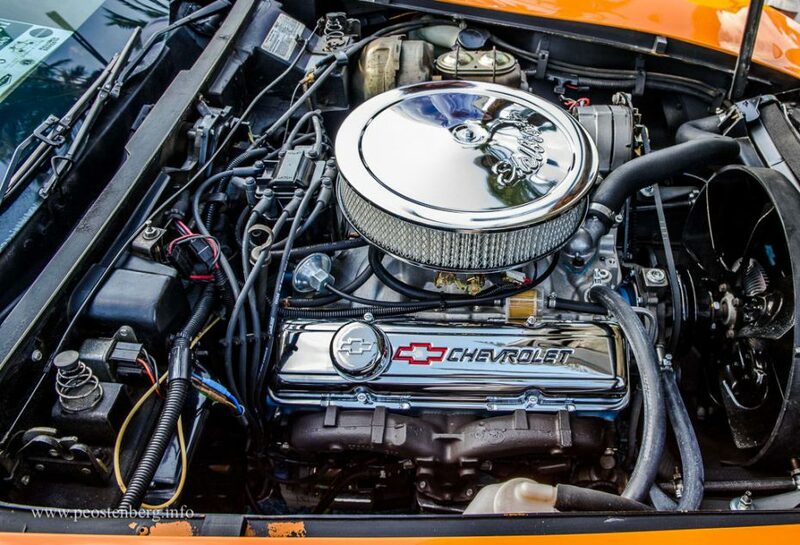 Surrounding this homage to perfection, the American Car Club put on a fabulous show of over 30 Classic and interesting Yanks together with a pin-up competition, food stands and rock music. 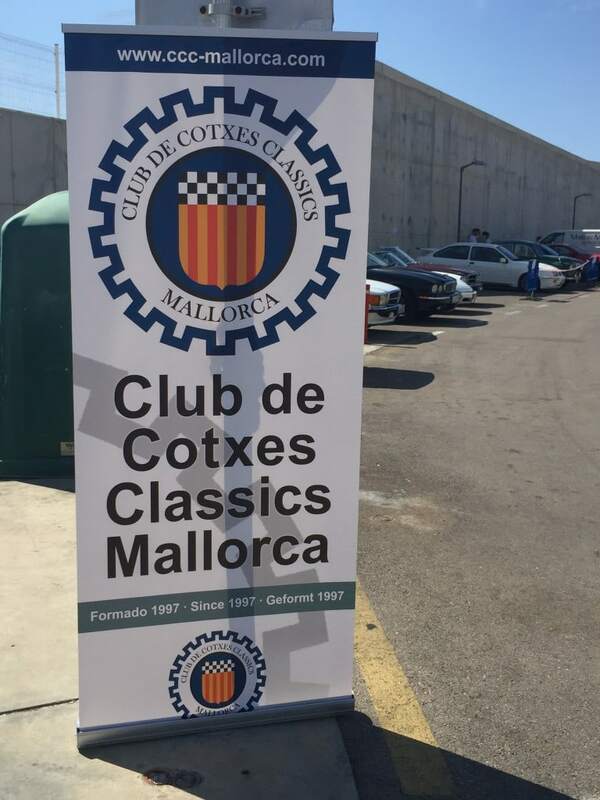 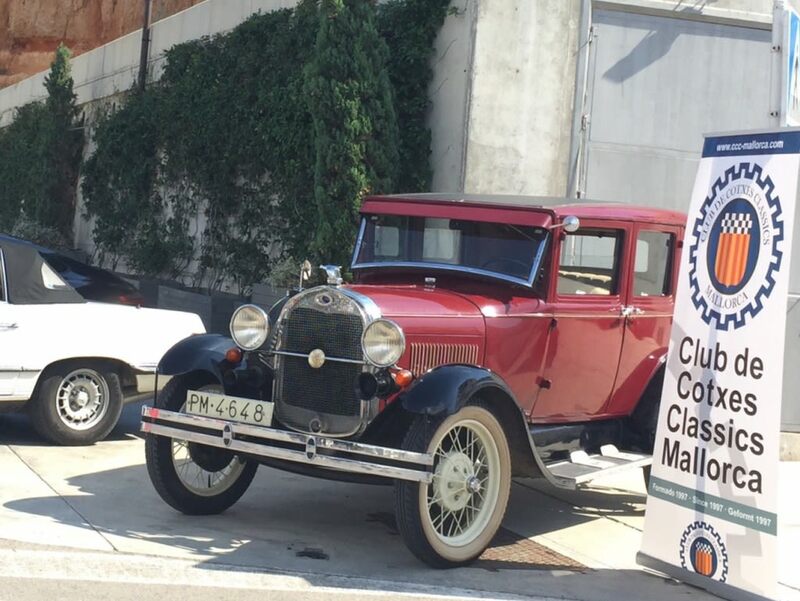 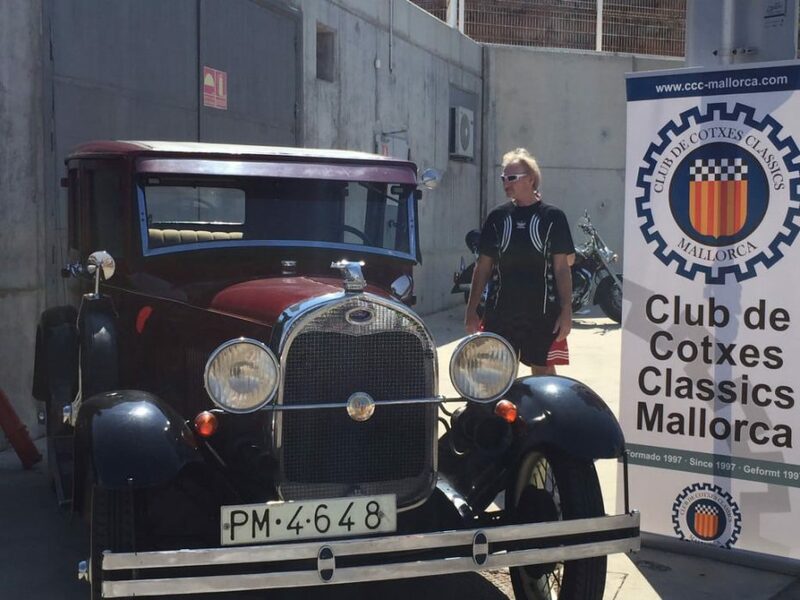 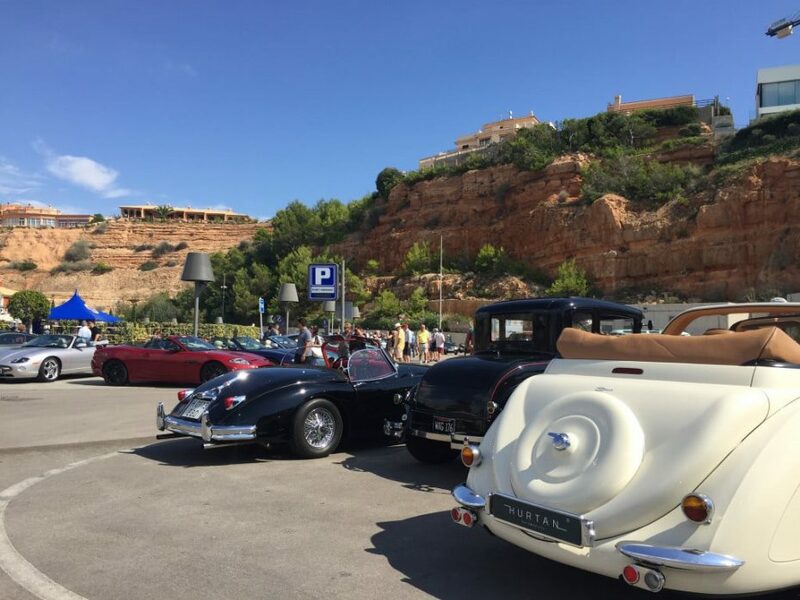 Not to be outdone, the Classic Car Club turned out with over 30 cars, the club also hosted friends from Driving Mallorca within their reserved parking area. 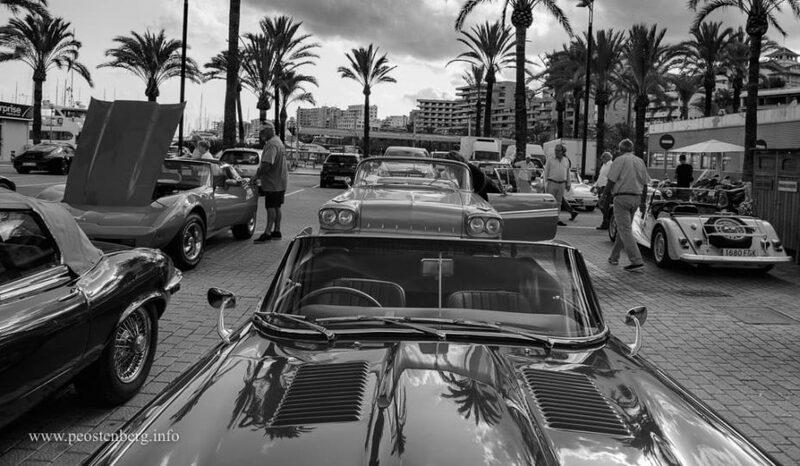 As usual the Classic Car Club selection from the island was very varied and eclectic. 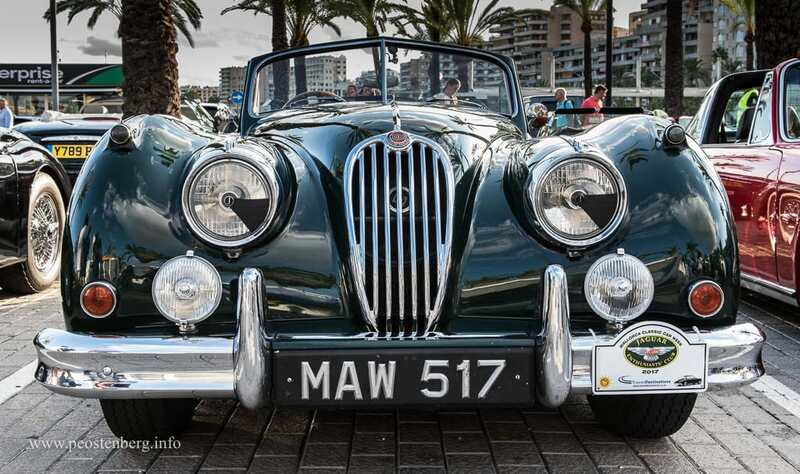 I think it’s one the most interesting ranges of classic vehicles to be seen anywhere. 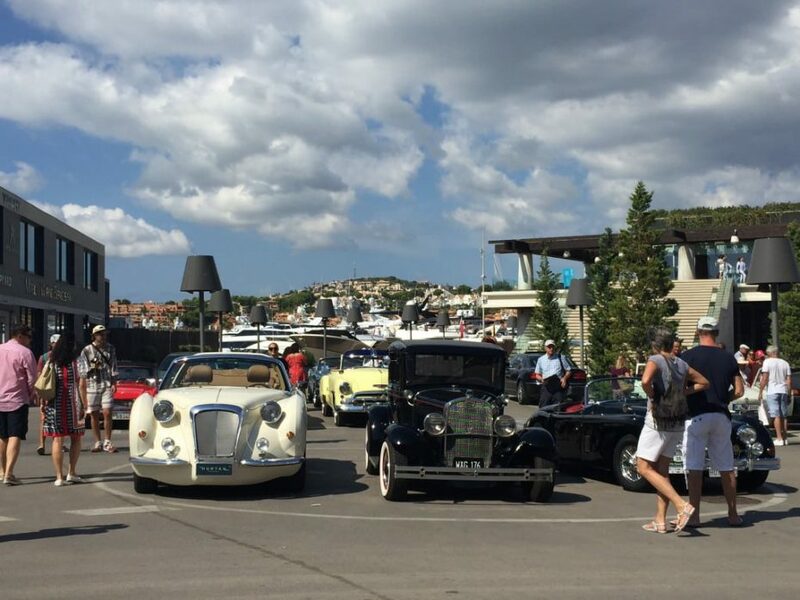 And in the fabulous surroundings of Port Adriano and mellow weather of the second official day of Autumn, the whole experience was heaven on wheels. 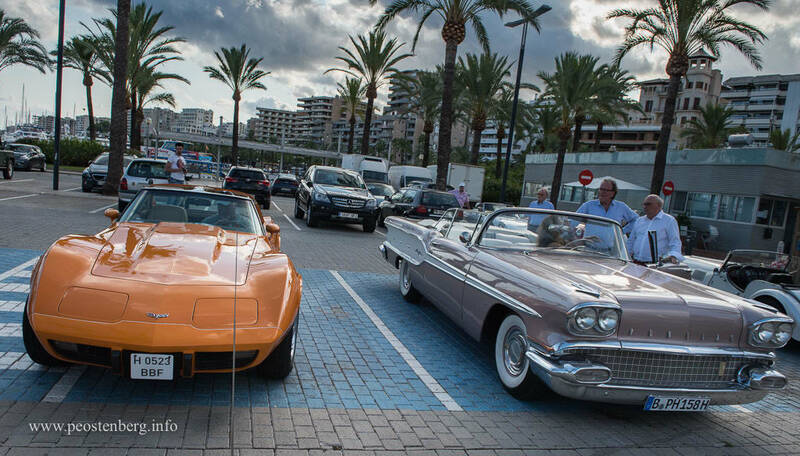 The day ended with dinner at Coast. 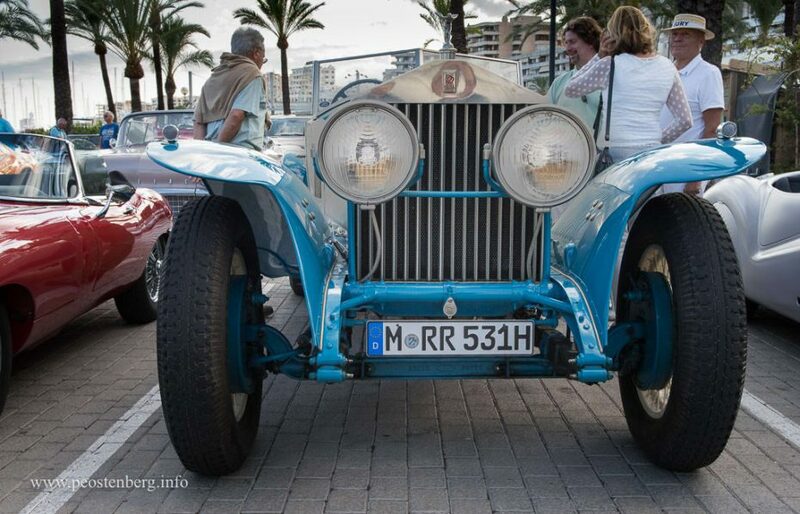 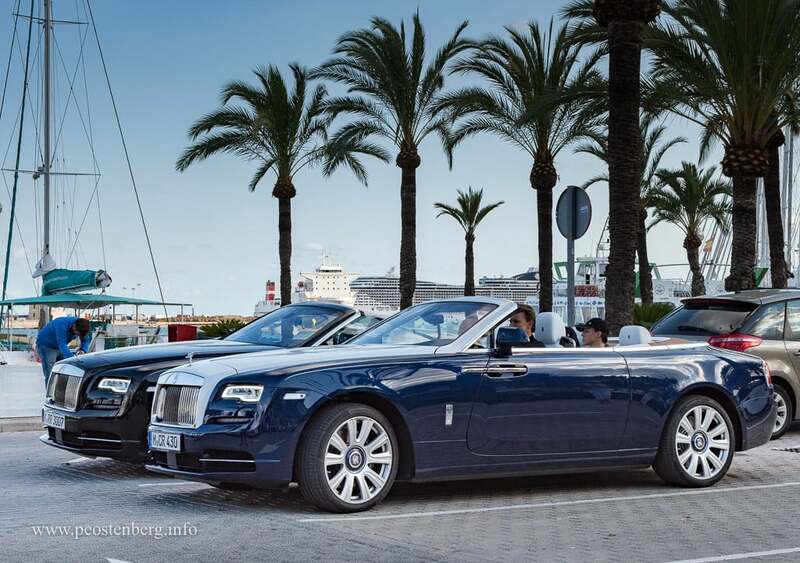 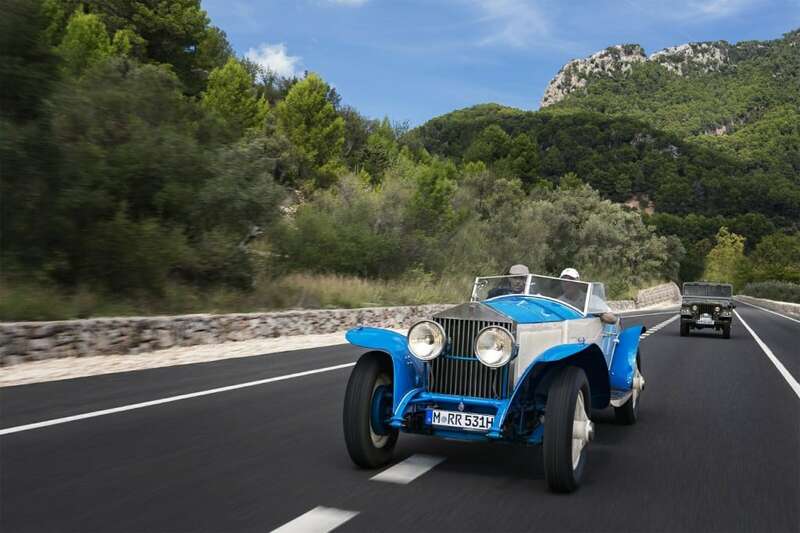 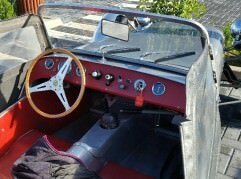 On Sunday, 30 cars make their way through Palma from Port Adriano onto the scenic Alfabia Gardens coffee stop. 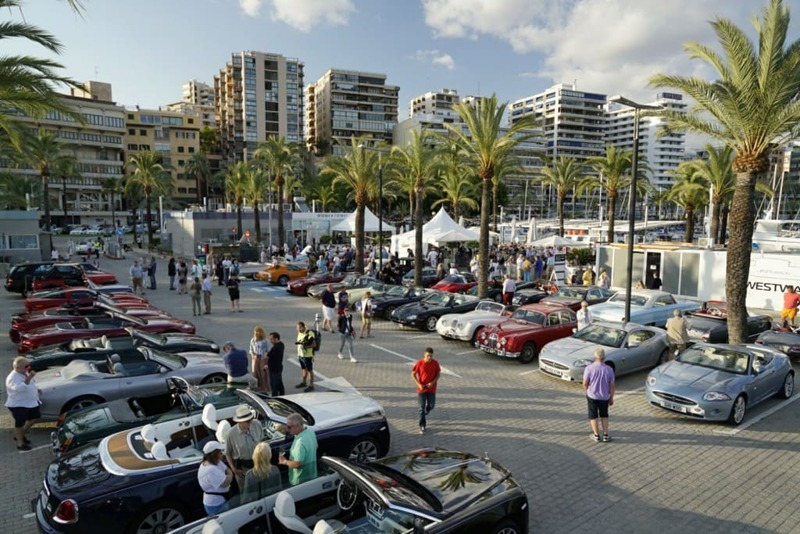 The object of the drive was to solve the crime ‘Art Theft under the Palms’. 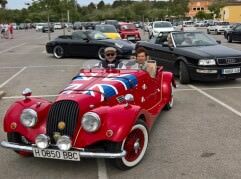 It was a challenging task which tested the gray cells as well as being great fun. 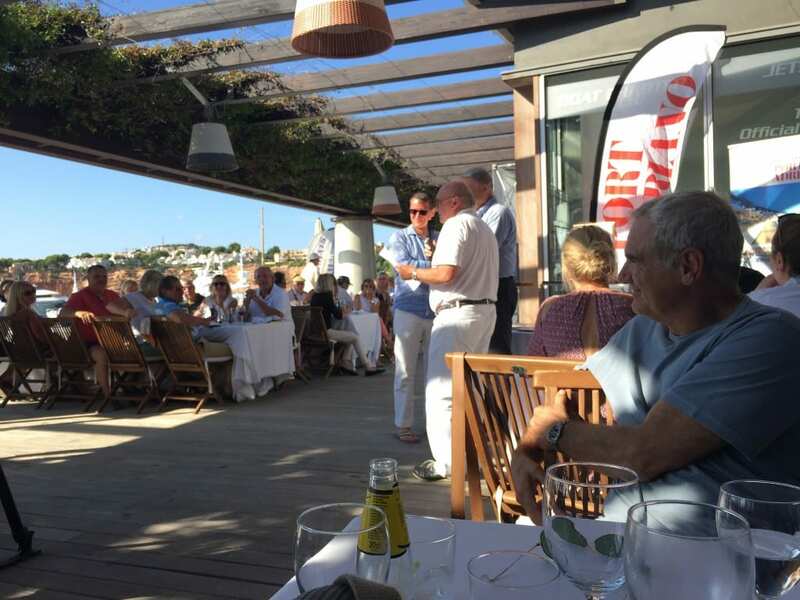 After a couple of hours of vistas and winding roads the winners were announced after a BBQ lunch at The Crew Bar, back at base in Port Adriano. 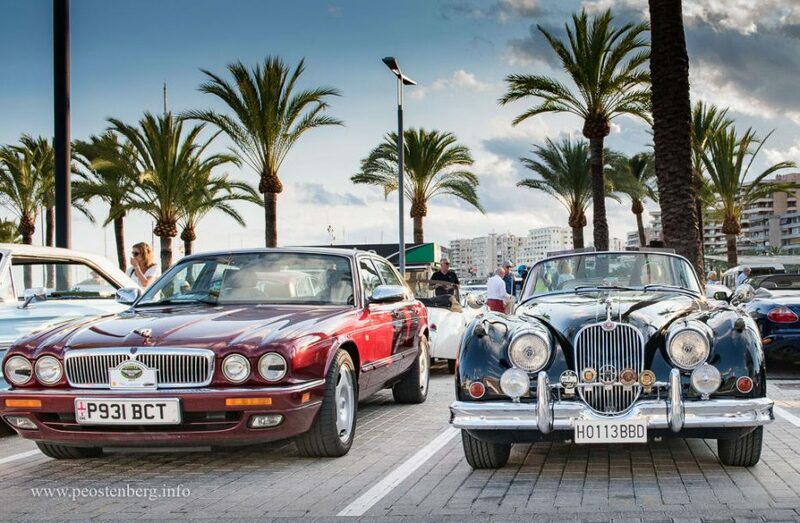 Next year’s event starts on Wednesday 19 September 2018.